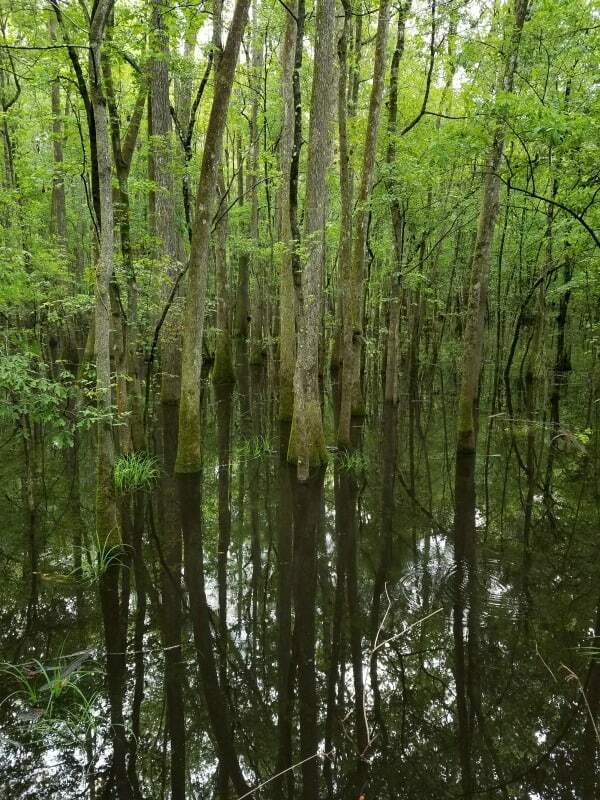 Located in central South Carolina, the Congaree National Park protects the largest area of old growth bottomland hardwood temperate forest as well as so many other animal and plant species found in alluvial floodplains. It has some of the most beautiful and tallest trees in the Eastern part of the country. Though the Congaree is not a swamp per se, it is known as being as one of the most important International Biosphere Reserve and National Natural Landmarks. The park expands on an area of 26,276-acres total and about 15,000 acres are designated as a wilderness area. in 1969, The Sierra Club launched a campaign to save this area from exploitation by the private owners due to high prices of wood. Due to this campaign, the Congress declared the Congaree Swamp a National Monument on October 18, 1976. Six years later the national monument became a Biosphere Reserve on June 30, 1983, and almost two-thirds were declared a protected wild area on October 24, 1988, in addition to being designated as an Important Bird and Biodiversity Area (IBA) by the American Bird Conservancy on July 26, 2001. On November 10, 2003, the Congress changed the designation of the monument site to Congaree National Park and expanded its boundaries by about 4,500 acres. In addition to being a designated Wild Area, a Biosphere Reserve, an Important Bird Area and a National Natural Monument, Congaree National Park has camping sites and offers hiking, canoeing, primitive camping, interpretive walks and canoe tours, kayaking and bird watching, and environmental education programs. If you love hiking and nature walks then the Weston Lake Loop Trail (4.6 mi), Bluff Trail (0.7 mi), King Snake Trail (11.1 mi) and Oakridge Trail (7.5 mi) is exactly what you need! You can spot raccoons, deer, and even bobcats along the way. Its waters have interesting creatures such as amphibians, turtles, snakes, alligators and many species of fish. 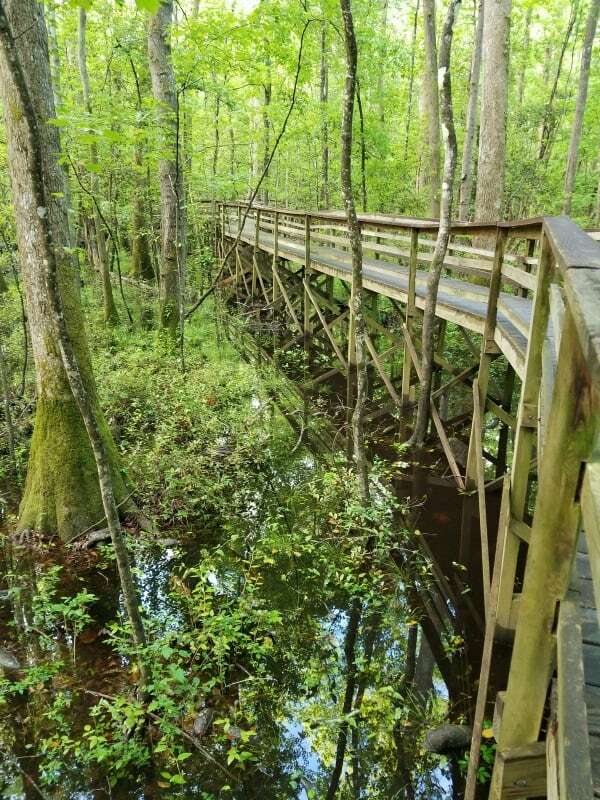 In addition to hiking trails, the park has a marked canoe trail of 20-mile, on Cedar Creek, but most visitors choose to walk the Boardwalk Loop, a 2.4-mile elevated walkway that goes through the swampy environment. The park designated an old growth forest has one of the largest and majestic concentrations of champion trees. Champion trees are trees that are found on the list of the National Register of Big Trees and refers to some of the largest trees of each variety recorded. There are champion trees here from 15 different species some of them being: a 157-foot sweetgum, a 133-foot swamp chestnut oak, a 127-foot common persimmon, a 167-foot loblolly pine, a 154-foot cherry bark oak, a 135-foot American elm, and a 131-foot overcup oak. If you decide to visit the Congaree National Park please be sure to check out the Harry Hampton visitor center where National Park Service rangers have up-to-date information on the state of the roads. 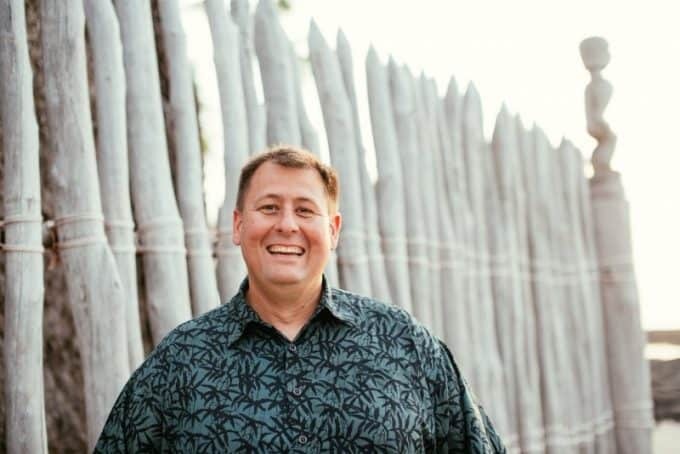 Here you will also find presentations on the park’s natural history and efforts made so far to protect the swamp. Check out our Congaree NP Travel Tips for more info on planning an epic trip to this great National Park! Don’t miss these Top Things to do in Congaree NP during your visit!